Just over 24 hours have passed since I finished this book, and I am still very much processing the weight of its importance both to the twenty first century evangelical church and to me personally. 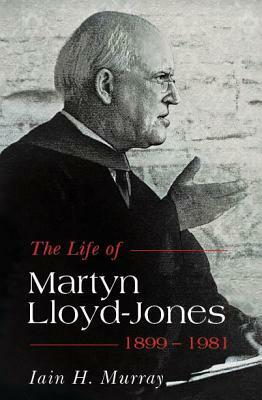 Before reading The Life of Martyn Lloyd-Jones 1899 – 1981 I could have counted on one hand the number of times I had heard of Dr Martyn Lloyd-Jones. The few occasions I did hear his name was when it was referenced by prominent pastors and Christian leaders whom I admire such as John Piper and Kevin DeYoung, but I had never come into contact with his life and ministry directly. Out of interest I put this biography on my birthday ‘wishlist’ in 2013, as I wanted to know more about this character who I’d heard reputable sources refer to as “the greatest preacher in the last 200 years”. Thankfully, I was given a copy on my birthday that year. At the time I had no idea just how profoundly the story of Dr Lloyd-Jones’ faith, life and ministry would affect me and indeed this is something I doubt that I currently know the full extent of. Some expansion on this will follow in this post, however I must start by saying I am forever grateful to author (and personal friend/assistant to Dr Lloyd-Jones) Iain Murray for his work on this condensed biography which has introduced me to a man whom I will not meet until I too am called home to be with Jesus, but whose story has caused me to give all praise to God for a life well lived in the service of the Kingdom, a life “worthy of the calling” he received (Ephesians 4:1 ESV). Easter Sunday: after darkness… light! Following on from Good Friday’s thoughts about the beautiful collision between humanity’s depravity and Christ’s divinity at Calvary, I got to thinking about what it must have been like for the disciples during the Easter weekend. Talk about a roller coaster of emotions and experiences both leading up to that time and throughout Easter! They’d heard the prophesies about the Messiah, but they didn’t want to accept the fact that He had to die. They’d heard John the Baptist telling people to repent because the kingdom of heaven was at hand before Jesus started His earthly ministry (Matthew 3:1 – 6) and yet they were confused as they had been expecting an earthly political kingdom to release them from Roman rule rather than a spiritual Kingdom set up by a suffering servant. They were finally understanding who Jesus really was and then His life and ministry turned towards the cross. Within the space of a few days they experienced the last supper, prayer in the garden, betrayal by one of their close friends, the brutal floggings and mocking of Jesus by the soldiers, accusers that wanted to pin Peter down as a close friend of Jesus followed by Peter’s denial of that fact, the crowds demanding Jesus’ death, the disciples’ Lord and master carrying His cross and having to be helped by another on the side of the road because the brutality had already tortured his body to breaking point… and then the actual crucifixion itself with darkened skies during the day time, nails through flesh, immense bloodshed, earthquake and the temple curtain being torn in two. Then it is finished. Jesus’ body is buried, the stone seals the tomb and the disciples are left wondering what is to become of it all.